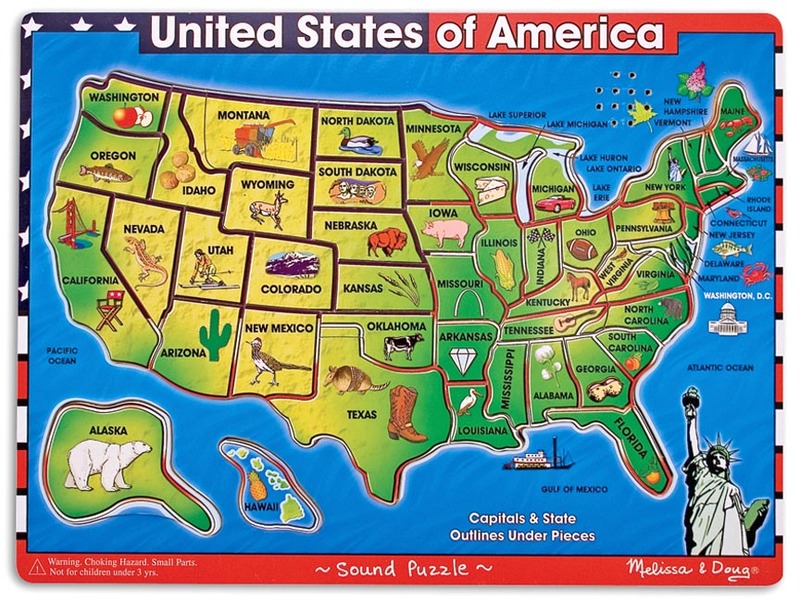 As each piece is placed correctly in the puzzle board, your child will be delighted to hear the names of the states and capitals! Forty wooden pieces help develop map and memory skills. Pictures on pieces show images associated with each state. State borders shown under pieces. Dimensions: 11.9" x 15.8" x .8" Recommended Ages: 5+ years. Contains small parts. AAA batteries not included.